Many of us may wish that the audio experience in our living rooms was better. The sound coming through our TVs and stereos can be enhanced by augmenting these devices with various types of speakers. There are speakers out there that can enhance the treble, bass, timbre or ‘surround effect’ included in the soundtracks of our media. Some companies claim to have developed speaker offerings that do a combination of these things. However, better results may come from choosing one type of speaker that reproduces one aspect of the typical aural spectrum included in conventional media (or a limited number of these) with others that handle another aspect simultaneously. This may require a co-ordinated collection of reference speakers; (that may contain a woofer, a tweeter or both) woofers; mounted bars and floor speakers that is often referred to as a home theatre system. In theory at least, a full home theatre creates a rounded, complete audio reproduction that conveys the impression of surround-sound and realism. This is known as the soundstage, and it may require considerable time and investment to create its ideal in a room in your home. However, not everyone is prepared to take these steps to develop the perfect soundstage. They may still want an immersive audio experience when they stream or play their media, and thus look for a more reasonable way to do so. A project presented at the Audio Mostly symposium this year may offer new hope to consumers who have a lot of media-consuming devices, but may lack the speakers necessary to deliver a high-quality audio experience while they watch it in their homes. Research has shown that, given the choice, media consumers would prefer soundstages that at least seem to emanate from behind and all around them, rather than blasted at them from the same angle as the screen or player in question. This is known as immersive audio, and may require a complex, well-arranged home theatre system to reproduce it properly. Home theatres may be composed of speakers, which are essentially amplifier ‘cones’ or membranes housed in box-like enclosures that may also act to conserve or augment the sound-waves coming through them. Audio quality may also depend on speaker quality, which is defined by the technology and materials that go to make up such a device. For example, the manufacturer Klipsch claims that titanium, ceramic and precision-moulded rubber enhance the cones, and thus the sound, associated with their reference speakers. However, even if one does have an entire system made of these high-end electronics, they may not work properly without also being able to correct for the unique acoustics in a given room, or if they don’t have the space to blast their particular frequencies at an optimal level of dispersion and spatial authenticity. Therefore, the average-sized living room may not be the best place for an expensive theatre system. Consumer-grade speakers, even high-end ones, must also try to match up to modern standards of audio representation. These include 22.2-channel reproduction, which is the standard linked to ultra-high definition TVs. The accurate reconstruction of this through speakers may require multi-channel arrays, as typical speaker-channel counts include 5.1 and 7.1. Again, not many people are likely to spend the time and money for such a set-up. On the other hand, there is more consistency in the use of smart devices such as phones and tablets in living and entertainment spaces. These may even be dedicated devices that act as remote controls or streaming-service interfaces for the main screen in the room. These devices also have speakers, the quality of which varies by device line and manufacturer. The average consumer may have even more electronics containing speakers in one room; this observation holds increasingly true as smart assistants such as Alexa and internet of things- (IOT) powered items grow in popularity. A research team collaborating at the Universities of Surrey, Salford and Southampton looked at these home-entertainment trends and saw the potential of using a room’s existing devices to create a truly immersive, wireless audio experience in which more individual components of a soundtrack are perceived as being heard from heights or dimensions more appropriate to the situation on-screen. This is known as spatial audio, and can depend largely on software for its delivery. The team – led by Jon Francombe of the University of Surrey – call this concept Media Device Orchestration (MDO). 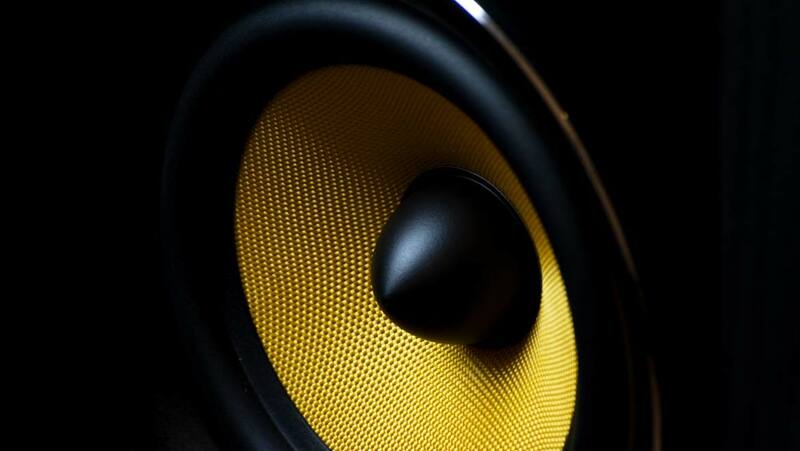 It is a derivative of the current Engineering and Physical Sciences Research Council- (EPSRC) funded project, S3A, which is investigating future advancements in consumer-grade audio. It is a system in which all devices within range of a master device or user interface are detected via Bluetooth or Wi-Fi, and are ‘orchestrated’ to reproduce audio files through their own loudspeakers in an immersive and spatially-aware manner. Each device receives audio definition model (ADM) files which contain audio objects in XML chunks, as well as metadata and information on where the other speaker-enabled devices in the room are. This feed is also rendered to each respective speaker using the VISR system developed as a result of another arm of the S3A project in real time. This may allow each individual speaker to handle a particular part of the overall audio feed that it is best able to reproduce based on its position in the room. Therefore, the speakers that are equipped with appreciable channel-based specifications are augmented by a number of others, located within whatever other devices are available. Media Device Orchestration is an interesting product of the S3A project, which was set up to drive the next generation of personal and home audio technology. It is almost like an intranet of things for all the speaker-enabled devices in a room. This may help get around the problems presented by the limits of existing speakers, such as their channel count, to offer a more spatially correct, enveloping soundstage experience. With time and development, MDO may make the impact of audio or audio-visual entertainment originally intended by creators more accessible to those without high-end or extensive equipment set-ups. The MDO system also enables each speaker to reproduce sound with respect to the positions of every other speaker connected to it. In other words, it may also negate the painstaking speaker-placement process that is often necessary for an optimal soundstage. MDO is an interesting demonstration of new software/hardware systems that deliver high-quality, realistic, truly immersive audio. Hamasaki K, Nishiguchi T, Okumura R, Nakayama Y, Ando A. A 22.2 multichannel sound system for ultrahigh-definition TV (UHDTV). 2008. 40-9 p.
Francombe J, Mason R, Jackson PJB, Brookes T, Hughes R, Woodcock J, et al. Media Device Orchestration for Immersive Spatial Audio Reproduction. Proceedings of AM ’17. 2017.